Strolling the cobblestone streets of Prague is even better with a friend, whether it's a human or a dog! The boxes are mostly unpacked, Stéphane's away on a business trip to Dubai and I'm relishing in the peaceful feeling that comes from being at home after ten days on the road in Hungary, Slovakia and the Czech Republic. The entire week looms before me full of empty hours that I can fill in any way that I want. It's a luxury, but it has also made me realize that I only know a couple of people in Prague, counting the movers! Making friends can be one of the most difficult aspects of any relocation, especially if it's an international one. First of all, there may be language or cultural barriers that make it tricky to mingle with the locals. Expats are the next logical choice. But career expats are somewhat of a funny lot. Because we're either moving in or moving on, we're often at different stages of cultural adjustment, or culture shock. This means that people who are preparing to leave often don't have much interest in meeting a newbie who's fresh off the boat. That's certainly how I felt the last couple of years in Paris. Whenever I was introduced to someone who had just arrived, I would wish them well and make a beeline to another part of the room. They were in their honeymoon phase with France while I had already adapted to the marvels of croissants, long vacations and excellent wine. And, in all honesty, I didn't have room in my rapidly fading Paris life for another friend ... someone to whom I would have to say goodbye within a couple of months or a year. Social media - As I met all of my close friends in Paris via my blog or Twitter, social media outlets seemed like a logical starting point in Prague. While I mainly use Twitter to gather information about Prague and the Czech Republic, my interactions with other expats on Instagram have already led to a couple of invitations for coffee. If you have social media accounts, use a hashtag along with your location, in my case #Prague, to search for people who are posting about your city. Read their bios and a couple of their posts to get an idea of their online personality and start interacting with the ones who interest you. Not only have I met people in my own city, but last year I had the great pleasure of meeting an Australian Instagrammer face-to-face when we realized that we were both in Montreux, Switzerland at the same time. International Women's Association of Prague (IWAP) - When I was a much younger, gainfully employed expat, I used to view women's social organizations as somewhat outdated. Now that I'm in my 50s, I've discovered that the women are actually my soul mates. They're quite often career expats or locals who have spent much of their lives in other countries. IWAP's general meeting this month featured a special program in honor of International Women's Day with interesting talks by the H.E. Ambassador of Peru, Liliana de Olarte de Torres-Muga and Mr. Jonathan Wootliff, former Director of Greenpeace International and present Chairman of the Board of experts of the Czech Business Council for Sustainable Development. My Paris and Prague worlds merged when Mr. Wootliff offered high praise for French diplomacy during the United Nations Climate Change Conference in Paris last December. 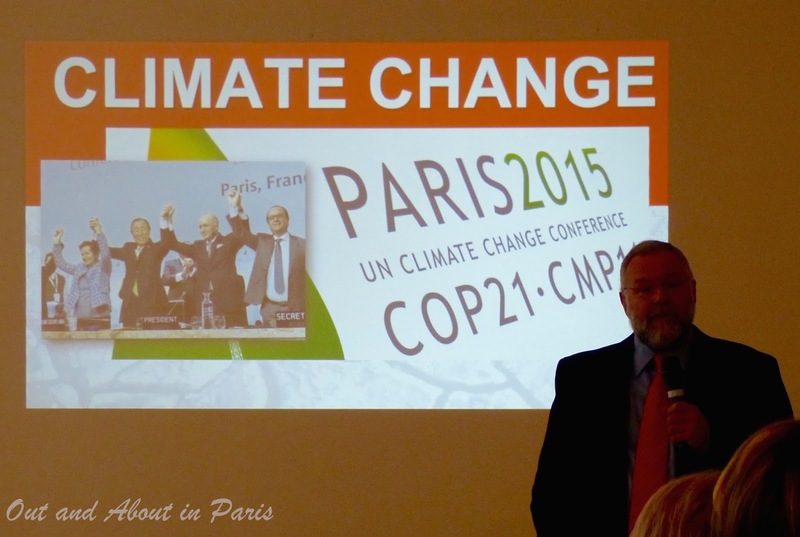 His talk was titled “Climate change: the issue of the 21st Century”. And, best of all, I met some very interesting women at the meeting. American Center and French Institute Prague - If you're lucky enough to live in a city with cultural centers, be sure to take a look at their websites. As an American who used to live in Paris, I'm interested in the American Center and the French Institute primarily because I'll be able to communicate with the other guests who attend the wide-offering of exhibitions, movies and lectures. Plus, I've heard that the French Institute has the best croissants in Prague! In Paris, I always regretted not speaking Italian because not only is the Istituto Italiano di Cultura located in a beautiful mansion in the swanky 7th arrondissement, but they have a very active social calendar featuring cooking classes with famous Italian chefs, concerts and lectures. International Ladies Choir Viva Voca - While I wouldn't dream of inflicting my singing voice on anyone outside my family, I knew several women who had made lifetime friends after joining the Choeur International de Femmes de Paris. The choir in Prague looks like a wonderful option for those who can sing. Meetup - Whether you're looking for fellow entrepreneurs, people who like to explore the city or drink beer, there's a good chance that you'll find like-minded people at Meetup. I enjoyed the Meetups that I've attended in Switzerland and Paris. 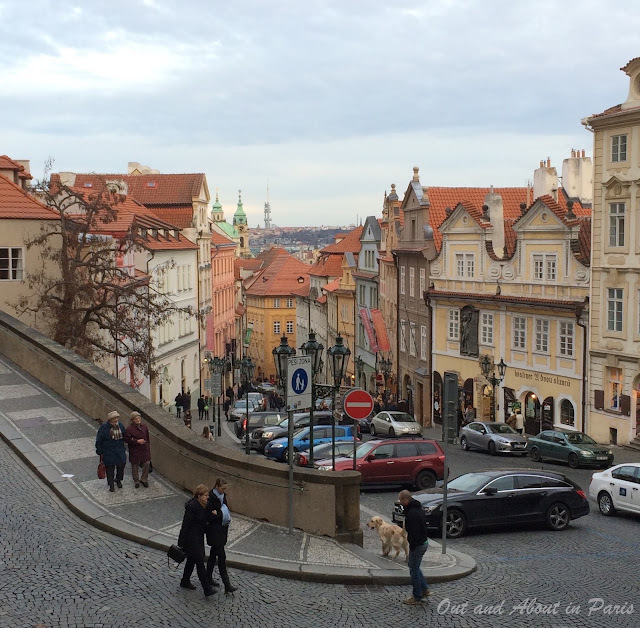 Yoga, sports or other hobbies - Whether you like yoga, tennis, knitting or geocaching, do a quick Google search to see what's available in Prague. I was pleasantly surprised by the number of yoga classes I found when I typed "yoga, English, Prague" into the search field on my laptop. According to the interesting article, UCLA Study On Friendship Among Women: An alternative to fight or flight, sent to me by Boston friend Carolyn Vandam, "the more friends women had, the less likely they were to develop physical impairments as they aged, and the more likely they were to be leading a joyful life". Even though friends are extremely important, don't be afraid to do things on your own. Tired of spending my evenings at home, I booked one of the last available tickets for the world premiere of Czech composer's Milos Bok's Apocalypse in Kamenická Stran performed by the Czech Philharmonic Orchestra last night. Seated to my right was a very pleasant woman, also on her own! 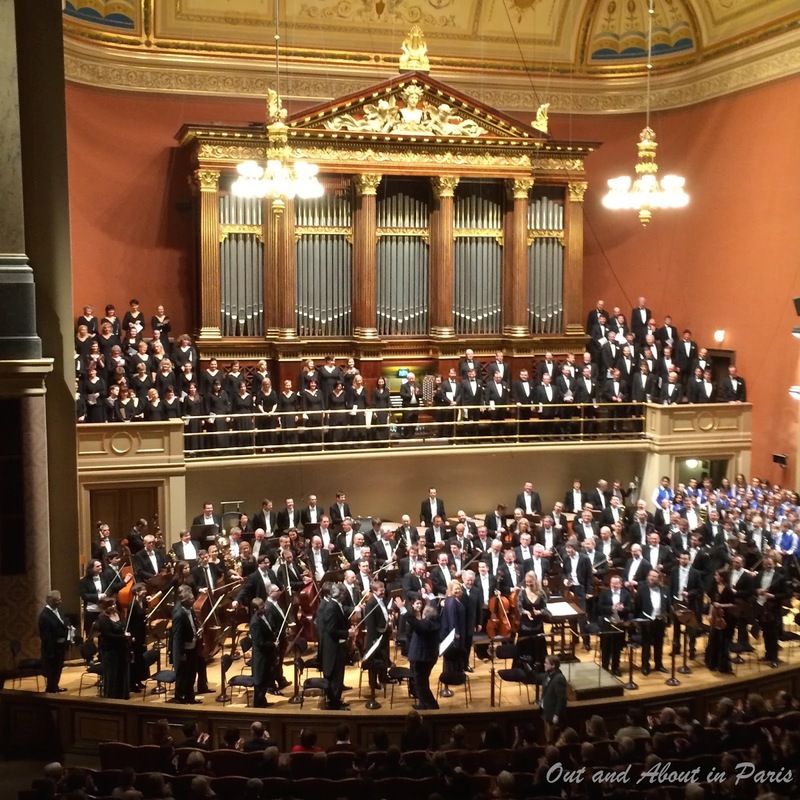 The Czech Philharmonic Orchestra performed Milos Bok's world premiere of Apocalypse in Kamenická Stran at the Rudolfinum in Prague on March 9, 2016. The concert was conducted by Manfred Honeck, music director of the Pittsburgh Symphony Orchestra. Gwan, Thanks for the good luck wishes! I'm always a bit intimidated when confronted by a room full of people I don't know. :) It's a shame that the women's groups in Brussels don't organize after-work events. Are most of your friends through work? Any tips about things that have worked for you in Brussels? Making friends can be tough, no matter what the age! But you have such a great set of ideas, I love it!